Children have such vivid and vibrant imaginations. In early childhood creativity is often linked to drawing, making, messy-play, and art. It is important to encourage our child’s creativity and The Brain Swapping Machine is a perfect audiobook for this! Ellis and Archie are two little boys who are given a task of inventing something fantastic for a scientist that is coming into their school. They want their model to be bigger, better, and more exciting than anyone else’s. They invent a Brain Swapping Machine! But will this machine actually work? Audiobooks are a great way to feed a child’s imagination, to nurture growth, to help them learn how to play, to expand language through imagination as well as being a fantastic way to fuel a daydreamer. 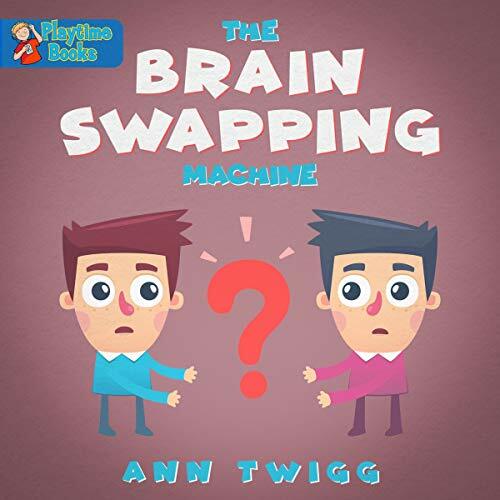 The Brain Swapping Machine is written and narrated by Ann Twigg who has three children, eight grand-children, and three great-grandchildren. Ann has the ability to hook children into her stories and bring the magic of the story to life. The inspiration for this story came while working at school when she overheard two young boys having fun talking about swapping brains with a machine. This audiobook could also be the perfect bedtime story and will have young kids hooked within the first few minutes and wanting to listen to the story again and again. My granddaughter loved this this book. Read by a true grandma. Brilliant, a great listen. My son loves making things and using his imagination and this book was perfect for him. He really enjoyed listening to it. My little girls loved this story. Will definitely be looking at more books by this author.